This sliding hat activity is perfect for practicing first sight words, math facts, spelling, and SO much more! Made quick & easy with Ellison Education die cuts. Simon (age 4) is ALL about reading these days, and he never seems to get tired of educational activities. 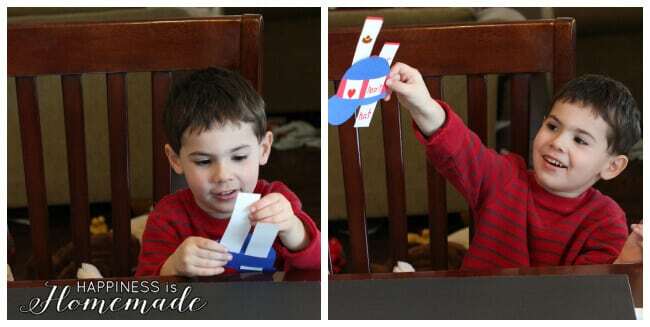 I made this fun first words sliding hat activity for him to practice his beginning reading words, and he LOVES it! I used the Ellison AllStar SuperStar Machine (you could also use the Sizzix Big Shot) with the Sliding Hat (#A10867) and Sliding Strips (#A10868) dies to create a first words matching game, and I have already brainstormed about a dozen other uses for them – math facts, word building, vocabulary lessons, compound words and more! 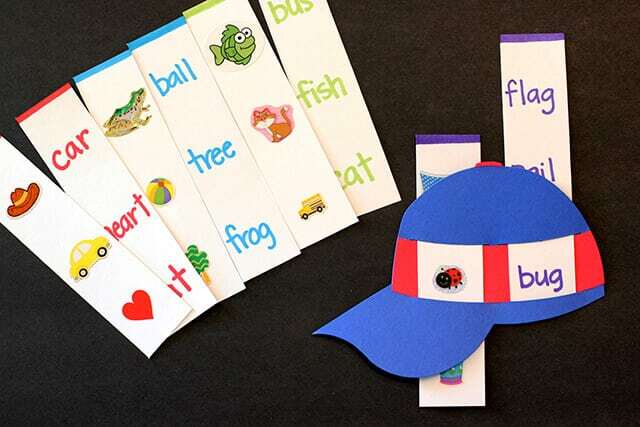 To create the first words matching game, I placed three small stickers on one of the sliding strips and wrote the corresponding words on to a second strip. Be sure to write the words in a different order than the stickers appear so that it is a challenge to match them up correctly! For each set of strips, I color coded the top of the strips with a 1/4″ band of color, and I also used the same color ink to write the words. This helps students easily identify which strips go together. This activity has been a huge hit, and I’ve had several requests to make a rhyming words set next!